Choose if wish to show or not footer. 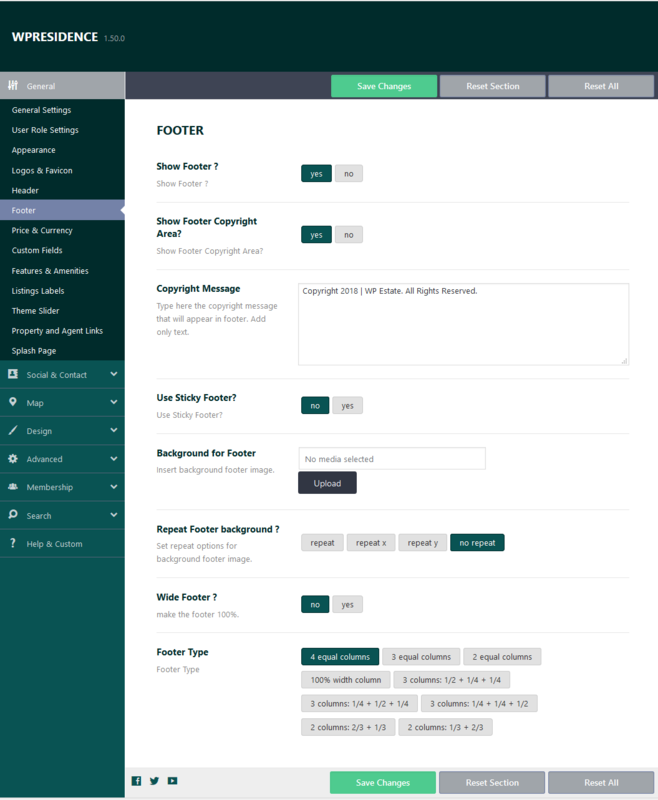 Starting theme version 1.30.1 we have support for sticky footer which can be enabled/disabled from theme options. You can add a footer background and, if you choose to add a pattern style image, you can select repeat options.